Have you ever been tickled pink? Green with envy? Or just plain blue? Students in the Elizabeth Lee Black School will display a rainbow of feelings when they present “I Am A Rainbow,” the best-selling book by Dolly Parton. Their performance will be held on Thursday, March 19 at 10 a.m. in the gym at the Barber National Institute. The interpretation of the popular children’s book is a collaboration with the Erie Playhouse Youththeatre. More than 70 students in classrooms ranging from preschool through middle school have been participating in the project that has focused on developing movement and performance skills. Three students are also providing narration for the story by recording the verse on iPads. Other students contributed to the creation of scenery for the stage. 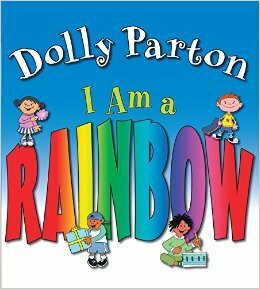 “I Am A Rainbow” was written by music legend and literacy advocate Dolly Parton to offer children with a fun way to talk about their feelings. By understanding their own feelings, they learn how to respect the feelings of others. The performance the latest in a collaboration that began with the Erie Playhouse Youtheatre and the Barber National Institute in 2009 and offers many benefits for students. The project is funded in part by Erie Arts & Culture and the Gannon University Schuster Re-Grant Initiative.